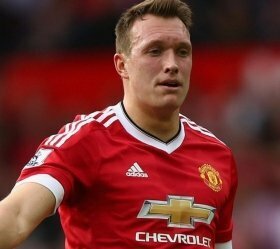 Phil Jones is set to be rewarded for recent good performances at Manchester United with a brand new contract at the club. The centre-back has been back in the first-team at Old Trafford over the past two months. Since the arrival of Ole Gunnar Solskjaer, Man Utd's form has drastically reversed and Phil Jones himself has seen more playing time at the heart of United's defence. 26-year-old defender Jones will now be given a brand new contract at the club. The player, who arrived at the club from Blackburn Rovers in 2011, has been recipient of unfair criticism since moving to Manchester and will now instead be given the opportunity to prove himself yet again.